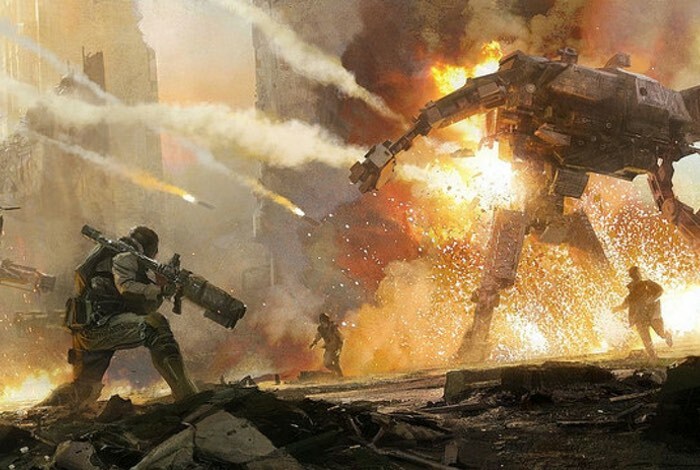 Josh Clausen Producer for Hawken has taken to the official PlayStation blog this week to reveal more details about the new free to play mechanical team based shooter was relaunching on Sony’s PlayStation 4 early next month on July 8th. Check out the new teaser trailer which explores the law behind Hawken and provides you with a glimpse of what you can expect from the game which is set approximately 60 years from now. Underlying our shooter is a surprisingly enormous and well-developed universe. So much so that there has been a hardback, 100+ page graphic novel, a five issue comic series, and a Brand Bible that covers a several-hundred-year timeline. When I first started on the Hawken project a little over a year ago, I wasn’t aware of this depth, and it’s been satisfying to see that so much thought and effort went into the mythology behind the game. In the Hawken mythos, approximately 60 years from now humanity pioneers hyperdrive technology allowing for deep space exploration. From there, terraforming and colonizing efforts build a network of habitable planets. Eventually this leads to the discovery of a planet named Illal, which is deemed too risky and expensive to terraform; however, the potential profit prompts a set of multi-planetary corporations (MPCs) to purchase permission to do so privately. Illal presents exceptionally difficult challenges, but the “Big Three” MPCs (Prosk, Crion, and Sentium) see a string of engineering breakthroughs that result in widespread industrial application of bipedal mechs for construction and mining. These product lines become immensely profitable, and Illal becomes a highly sought-after source of rare resources and industrial machinery. Terraforming operations accelerate and Illal quickly becomes a near-habitable planet. Natural resource discovery and extraction rates are taken to whole new levels. For more information on the new Hawken jump over to the PlayStation Blog website for details by following the link below.